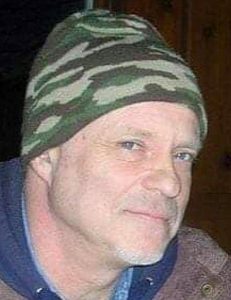 Rick J. Bayne, 58, of Warsaw, passed away Thursday, Jan. 3, 2019, at 12:17 a.m. in Kosciusko Community Hospital. He was born Feb. 16, 1960, in Warsaw to John Robert and Ivy Jean (Hampton) Bayne. A lifetime Warsaw resident, he was united in marriage to Geneva Prater on July 2, 1988, in Warsaw. He retired from Morton-Thikol of Warsaw in 2008 as a foreman with 25 years of service. Survivors include his wife Geneva Bayne of Warsaw, a daughter Cindy (Richard) Martin of Warsaw, sons: Robert (Tammi) Miller and Michael Miller, all of Warsaw; a sister Linda Lamb of Leesburg, 10 grandchildren, seven great-grandchildren, two nieces and a nephew. He was preceded by his parents. Visitation hours are scheduled from 3 to 7 p.m. Monday, Jan. 7 in McHatton-Sadler Funeral Chapel, Warsaw. Private interment services will be in Oakwood Cemetery, Warsaw.